Forgive me. I downloaded a trial of Photoshop Elements 8 and have been playing around with it. 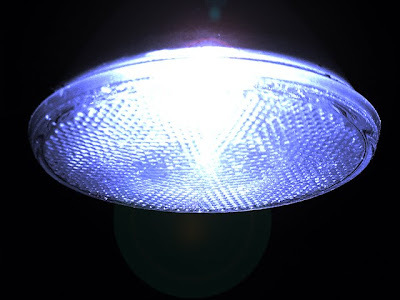 This is an ordinary spotlight turned black and white, then added the blue color and slight lens flare. 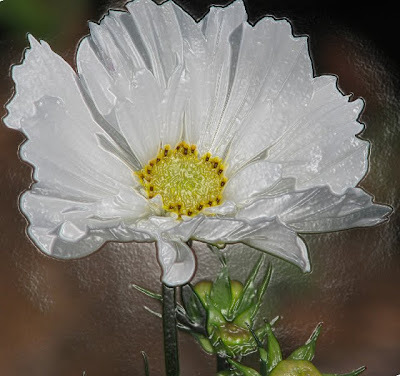 The flower, from a few days ago, after cropping and the usual post processing stuff, I added "Plastic Wrap".